After revealing leaked details on the existence of the Nvidia RTX graphics cards a few months ago, and Titan RTX announced a few days ago, the YouTube channel AdoredTV – recognized for getting confidential information first hand – reveals data on two interesting advances in the two main product lines of AMD: Ryzen 3000 series processors, and Radeon RX 3000 graphics cards. The brand is advancing with the production of chips ready through the manufacturing process of 7nm, while its biggest rival still can not find the return to 10nm and its latest products are beginning to look skeptical in the enthusiastic market. For the red team, everything is getting better, and it seems that they are ready to bet on the future of their lines with these two series that promise a great technical leap. 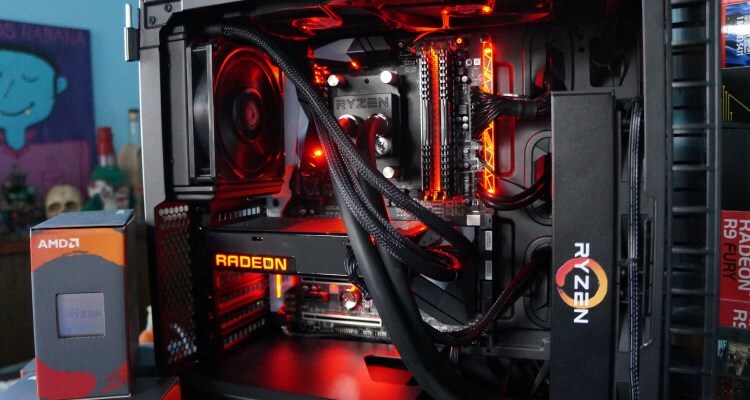 According to leaked details, the Radeon RX 3000 series would be the successor of the RX 500 – without going through RX 600 – equipped with Navi 12 and Navi 10 GPU Cores developed with strong intentions to join the world of the Ray-tracing. 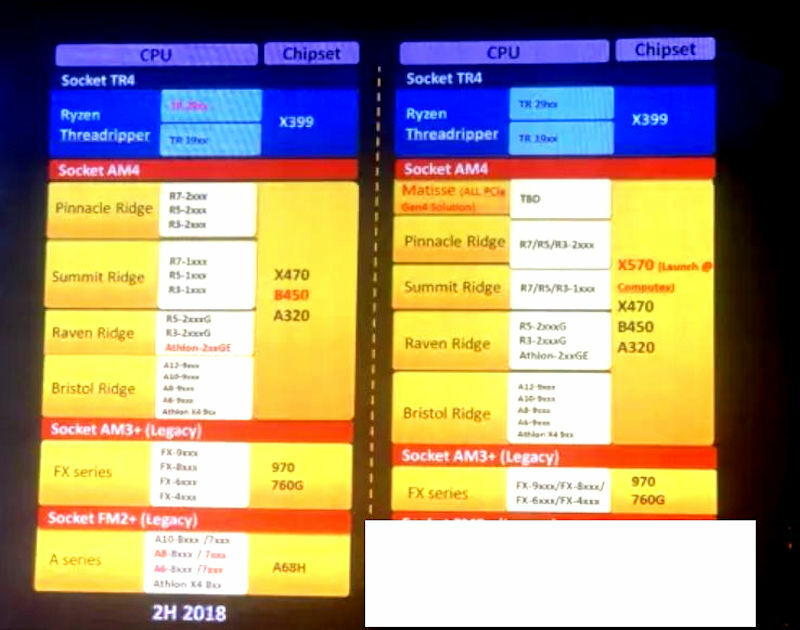 From this series it is already known that there will be three top end models including RX 3060 of 4GB GDDR6, RX 3070 8GB GDDR6 and RX 3080 8GB GDDR6, and that would be the equivalents of RX580, RX Vega 56 and RX Vega 64 with an additional +15% increase in performance, respectively. 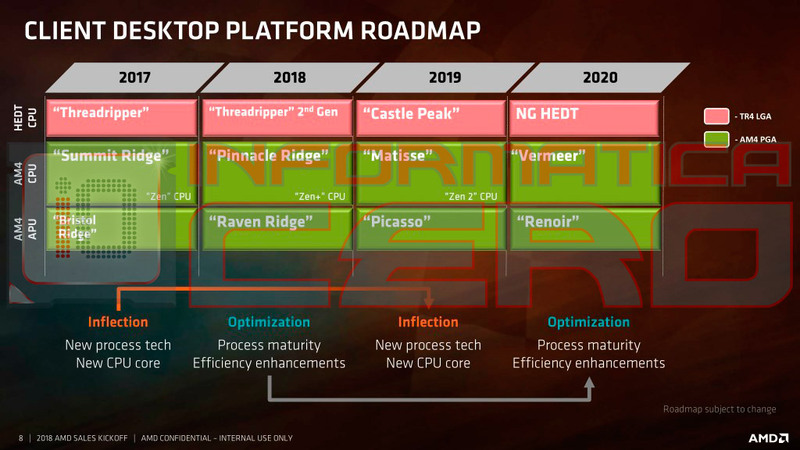 As for the Ryzen 3000 processors we can see that there will be Ryzen 3, 5, 7 and 9 at ultra competitive prices, with units ranging from a Ryzen 3 3300 6 cores / 12 threads, to Ryzen 9 3850X of 16 cores / 32 threads. As expected, the strongest competitor in this line will be the Ryzen 7 3700X, which will offer a clock boost of up to 5 Ghz in 12 cores / 24 threads, at a price that hardly meets the competition. Along with new processors, new motherboards with X570 chipset and PCI Express 4.0 will also arrive and may be released during the Computex 2019, which will be held from May 28 to June 1 of next year. These would be the first motherboards to provide support for Zen2 and VEGA of 7nm.